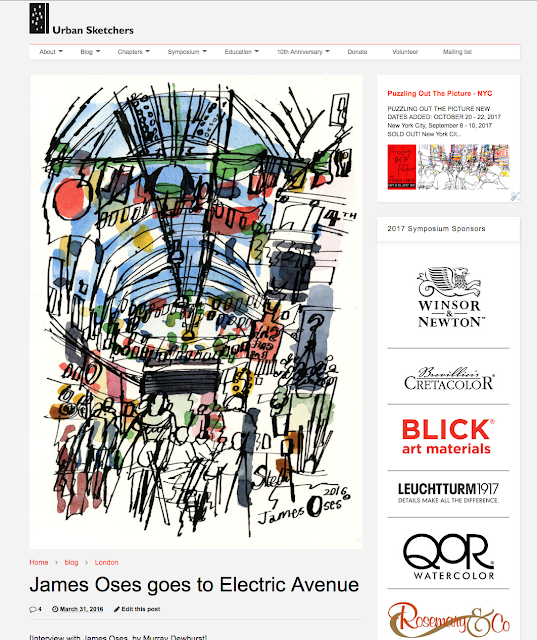 This is an interview I did with James Oses, a young illustrator sketching around Brixton in London. Click here for the full interview. Having lived in Brixton for a year or so around 1990, his sketches are instantly recognisable to me and capture the energy and colour of the place well. Makes me wish I'd sketched more in the those days! Thanks for sharing this Murray. I love this guy's use of pen and the simplicity of his watercolour application - inspirational. Yeah he's good eh Di, I'm very jealous!